I attended the opening event of Africa and Information Technology: Practices, Potentials and Challenges – a conference hosted by the University of Illinois’ Center for African Studies beginning September 11, 2013. The aim of this three-day conference was to catalyze the critical engagement of topics concerning the expansion of access to and development of information technologies on the African continent. Read the rest. 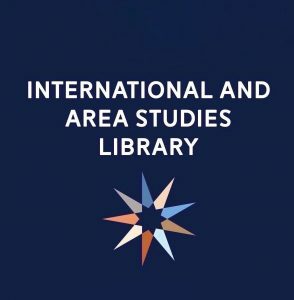 This is the first post in a new series that will help you get to know the faculty and staff at the International and Area Studies Library (IASL). The IAS library welcomes Lisa Renee Kemplin as the new office manager staring this 2013 fall semester. Lisa Renee first considered libraries as a career choice when she worked in circulation at the Champaign Public Library; she enrolled in the Graduate School for Library and Information Science and obtained her Masters in Library Science in 2011. Read the rest. Mabinty Tarawallie, a community collaborator and Master’s student in the University of Illinois’ School of Social Work, was inspired to develop African language learning clubs at Champaign-based elementary schools after attending the Leadership Center’s Ignite program. This 8-hour event helps participants cultivate the necessary skills to plan and initiate their own formal organizations and programs. Read the rest. Global Food, Locally” is a series designed to introduce you to the International and Area Studies Library’s new graduate assistants as well local dining options for food from around the world. In our first installment, Quetzalli Barrientos ventures out to try Korean food at A-Ri-Rang. As a new graduate student at U of I’s Library and Information science program, I am new to the school, the campus, but most importantly, I am unfamiliar with the local restaurants. Read the rest.